Last night after Jason returned home from teaching computers we decided to break out Candy Land. Ah...the memories.....rainbow trial.....Gramma Nut......stuck in the molasses swamp...or reaching Queen Frostine. We inherited the well used game from another family and since Anni is very into games these days we knew she would love it. Plus, I was hurting for fun indoor activities since Anni was home from school for two days sick with a fever and cough. 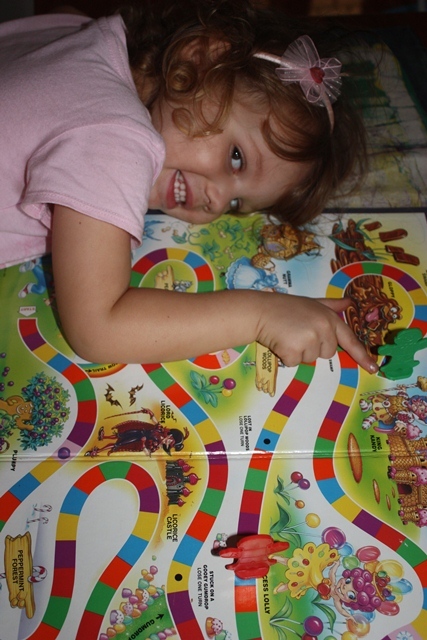 Candy Land was a big hit for sure. 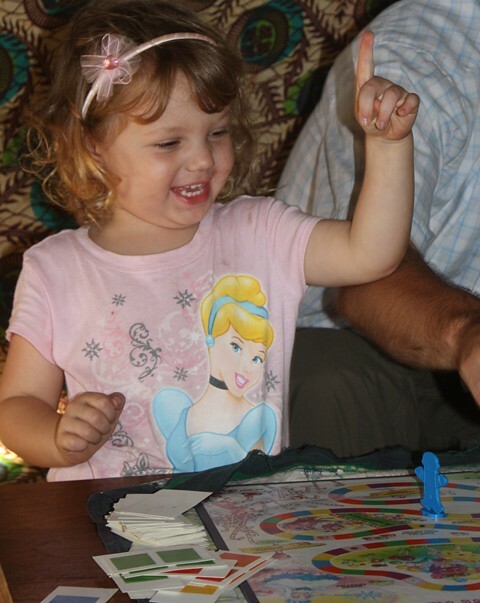 She was particularly thrilled that she beat us twice in a row! I think old school family board game nite is going to become tradition around here. 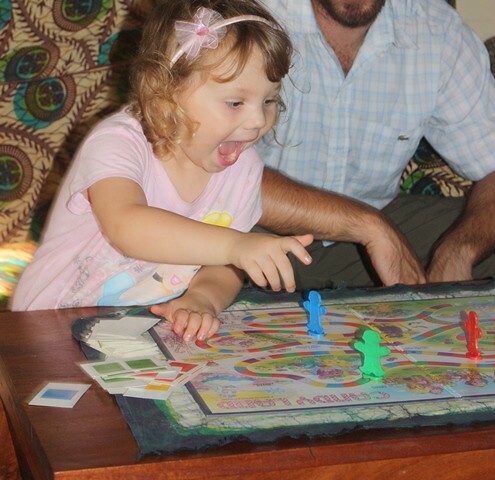 our littles love game night. such a simple pleasure. hope anni is feeling better.